It’s c.9.00am on Wednesday and I’ve withdrawn into a very small place. The floor is comprised of smooth black tarmac, the walls are made of slow pedal strokes, straining legs, heavily laboured breathing and merciless punishment and the ceiling is dark pine forest, streaked with a bright blue sky. 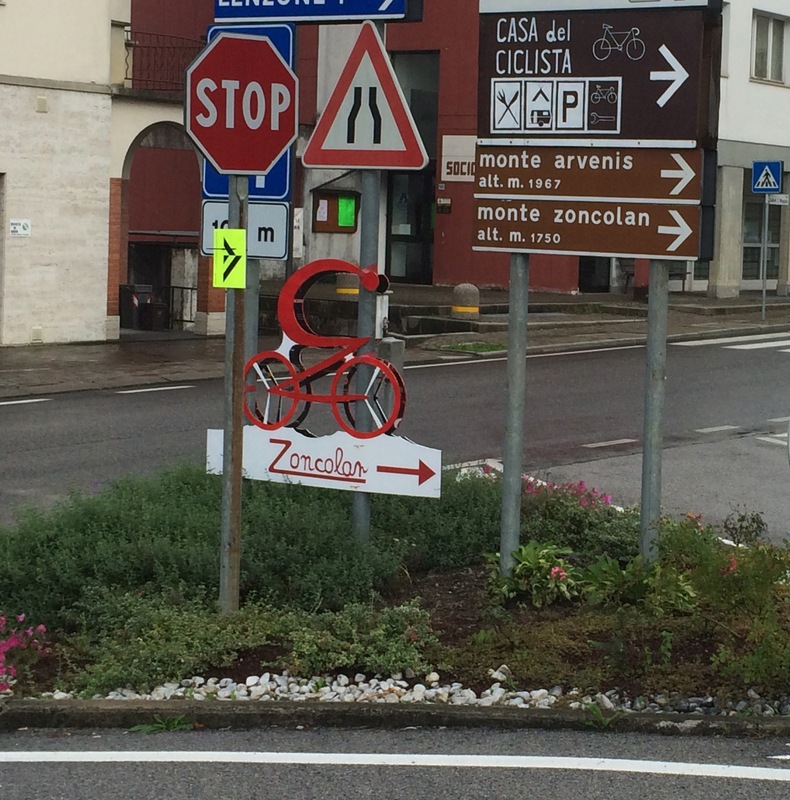 I’m three kilometres into the ten kilometre climb of the Monte Zoncolan and it’s 18 – 22 per cent, throughout. The Zoncolan: 11km at an average of 14%. For long sections, it’s much steeper than the average. (Click on any of the photos to enlarge them and then use your Back button to return). It’s actually taken me a while to work out that it’s Wednesday. Days don’t really mean anything anymore. What matters is that this is Stage Four of the hardest derivative of the Cent Cols Challenge (Dolomites) and it’s reputed to be the hardest stage and the Zoncolan the hardest climb. I came to Italy with questions about what I could do and how much I could really endure and suffice to say I’m getting the answers, from arguably the hardest event in amateur cycling. Things ease a little and I look down at my computer: 14 per cent. When 14 per cent becomes easy, you know you’re in deep. Everyone is suffering. Depending upon your level of talent, you simply suffer for a shorter or longer period. But everyone knows the pain of the Zoncolan. Under any circumstances, this climb would be horrible, but in the previous three days, I’ve already spent 32 hours on the bike and climbed almost 16,000m. I’m probably at 60 per cent capability from the outset, as evidenced by the fact that my muscles are too weak to push my heart rate much beyond 145bpm – which normally means ‘tempo’. Today it simply means ‘dead tired’. After 1hr 30mins of this punishment, at a glacial average speed of just 6.6km/h, I reach the summit. Ahead lies another 165km and a further 5,000m of climbing. 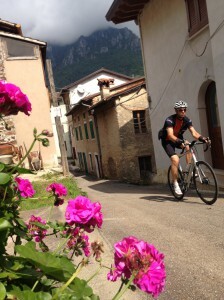 Welcome to the Cent Cols Challenge and welcome to the Dolomites. 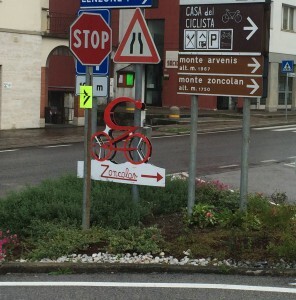 This says it all: follow the luminous yellow sign to the Zoncolan. Or better still just STOP! I was one of 27 riders attempting the 2014 edition of the CCC Dolomites and I knew exactly what I was getting into. My 2012 Tour ride had laid the groundwork for coping with multi-day events, but friends who had ridden other versions of the CCC in the Alps and Pyrenees had left me in no doubt that the ride would be far harder than the Tour and the outcome uncertain. However, it was only on the evening of Stage Three, when I finished in the dark for the second day in a row, that I quietly admitted to myself that I’d potentially bitten off more than I could chew. I felt physically capable of completing each day, but the extra-steep Dolomite gradients were reducing my average speeds by more than I had allowed for and my days were becoming far too long, with two consequences: darkness (and often rain too at that time of day), and a reduction in my recovery and personal admin time (you need as much time as possible in the evenings to eat, stretch, wash kit and of course, sleep. I was eating into this time with every late finish and it was a vicious circle). 7.45 am, Stage Two. Life’s still fun and the sun’s shining. I don’t know that I’ll only finish in the dark and several people won’t finish at all! And I had prepared really, really well, perfecting my equipment and creating mini-CCC experiences for the previous couple of months, with back-to-back riding in the mountains, always going further than was comfortable and creating time pressure at the end of each day. As the CCC intensified, I realised that this preparation was my crutch and I leant on it heavily. Stage 7. I don’t know it yet, but I’m now suffering from lymphodoema. – Stage Seven because it was ‘book-ended’ by really horrible, steep climbs and because it was then that I first noticed the swelling in my legs. It didn’t hurt, but it was concerning because I’d never experienced it before. Only when I got home was lymphodoema diagnosed: it’s a condition of the lymphatic system resulting in localised fluid retention and tissue swelling. But why was it happening to me? A few days earlier, I’d realised that I had a chest infection – breathing was painful and I’d developed an evil cough. Other riders had the same problem and it caused at least two or three people to climb off their bikes and abandon the event entirely. Lymph vessels route lymph fluid through nodes throughout the body, the nodes acting as filters for harmful substances. They contain immune cells that help fight infection by attacking and destroying germs that are filtered through the lymph fluid. My lymphatic system, already overloaded by my chest infection, simply couldn’t cope with the tissue damage I was inflicting on my legs and stopped flushing out the fluid. By the time I got home, my knees, lower legs and feet were swollen and my toes were numb. It took three days of iced baths and elevation to clear out approximately four kilos of retained fluid and restore my legs to how they normally look! Stage 8: Rapha Kings of Pain jersey was apt for 13 hours in the saddle. – Stage Nine because it was similarly intense: c.95km of the day was uphill and Loren and I ended up benighted on the summit of the Mortirolo. Less than 12 hours later we would see the same summit at dawn. I simply refused to quit. I had come to ride every col and was resolute in that plan. I knew my preparation and equipment had made it feasible and I also felt that if I kept turning the pedals and eating and drinking along the way, I might just succeed. And that’s how it ended up. 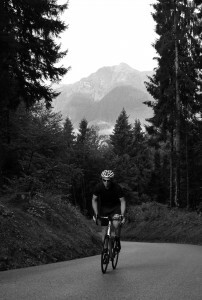 Of the 27 starters, nine achieved their 100 cols and eight of us climbed all 104 cols on offer. The fastest rider, Rasmus, completed the course in 90 hours: talent and panache in action. By contrast, I took 110 hours! As I said, we all came with questions and we all suffered. We just did it for different lengths of time. 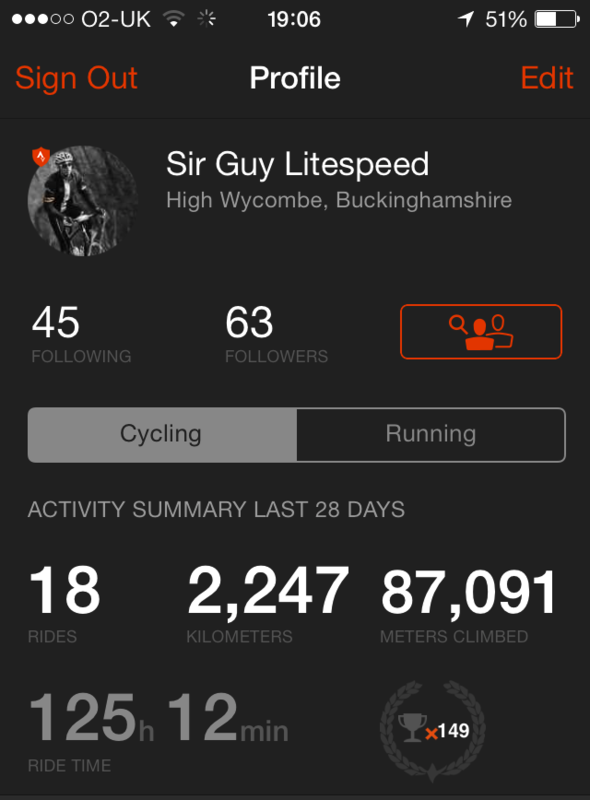 If they weren’t on Strava, you’d never believe these figures! If I’d failed, would I have tried again another year? No, was my conclusion during the second half of the event: I had brought the very best I had to the ride and if it proved inadequate, it wouldn’t be any different in 2015. 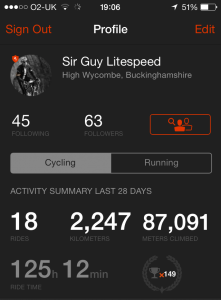 I had found my limit: 5,000 – 6,000m of climbing, day in day out, was on the margin of what I could cope with. I’d always wondered where my limit was and was genuinely delighted to discover it! 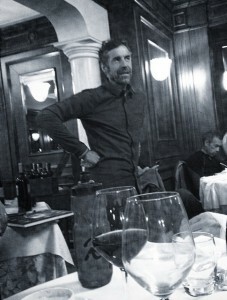 Phil Deeker, the man who conceived and organises the CCC is very brave: no one else dares to organise events like these, where even really strong riders will fail, where you’ll ride the equivalent of sea level to Everest Base Camp every day and where roads will be substituted by gravel tracks and rocks on occasion. 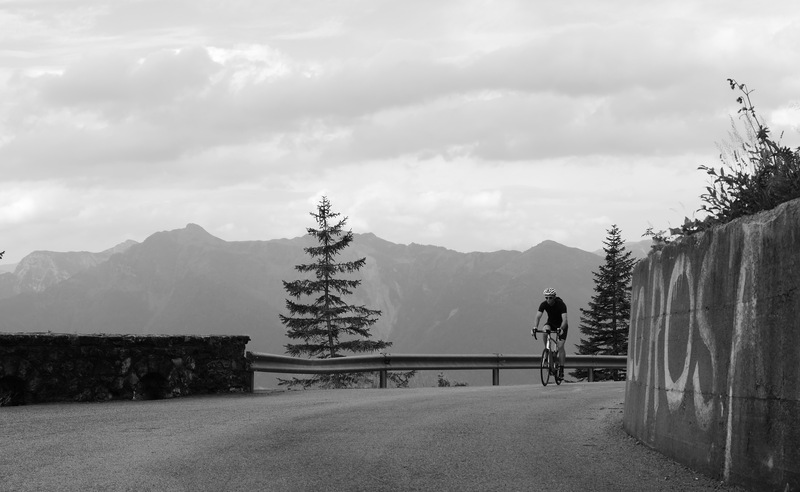 By way of comparison, the Haute Route Dolomites, which claims to be the hardest sportive in existence, takes in half the distance and 40 per cent of the climbing, in seven days. I will be eternally grateful to Phil for creating something that answered my questions. Phil Deeker on the final evening. Thank you Phil. Back home, my love for riding bikes was undiminished: I got back in the saddle after 48hrs! It did however take me three days to clear the lymphodoema problem and in the immediate aftermath, although I was mechanically sound, I was deeply tired. But I was also utterly relaxed, fulfilled and content with what I’d achieved. Now, four weeks later, I’m almost back to normal and beginning to feel strong again on the bike. My toes however, remain numb.